Empowering and uplifting the people of Puerto Rico to achieve equitable opportunities and secure a sustainable future through unity. We envision a sustainable and robust Puerto Rican society where everyone is able to thrive and live a healthy, happy and fulfilling life. We pledge to prevent and alleviate suffering by collaborating with local, established institutions and providing education. Furthermore, we promise to pay particular attention to our most vulnerable communities, ensuring that their primary and medical needs are met for their continued well-being. On the days following Hurricane Maria (the strongest natural phenomenon to hit the island in over 100 years), PRRU was born. A US territory inhabited by 3.4 million American citizens, Puerto Rico already had a weakened and struggling economy/infrastructure before the storm. In the aftermath of Maria, we saw many individual efforts running in parallel to each other and we came to realize the strength of our unity. In this time of need, we rose up with compassion, dared to grapple with relentless commitment and pledged to help others regardless of the stakes. Our strong principles stem from our very beginnings, when we volunteered to provide disaster relief and support to the people of Puerto Rico. The success of PRRU is possible thanks to the concerted effort of our engaged board of directors and dedicated staff. In solidary unity, our work is guided by PRRU’s organizational core values, as identified by our Executive Committee. R – RESILIENCE: Our organization’s unique composition and origin have created a strong bond amongst the members. This bond will allow us to remain steady in the face of adversity. When it’s time to get the job done, our “think outside the box mentality” drives results, all while keeping the highest ethical standards and exhibiting our good character. This drive stems from our role in society as leaders in our respective fields, mainly healthcare. I – INCLUSION: We have a clear non-discriminatory policy. Our organization values and provides equal opportunity to all regardless of differences (e.g., ability, age, ethnic background, gender, religion, sexual orientation, etc.) to achieve their maximum potential without discrimination. S – STEWARDSHIP: We manage resources and finances entrusted to us responsibly. E – EMPOWERMENT: We believe EVERYONE should have the opportunity to learn and grow. Through education, we can foster intellectual, scientific, cultural and spiritual development and promote creativity. U – UNITY: We believe that by being a united, cohesive front we are stronger and better. P – PARTNERSHIP: Our “can do” spirit delivers top performance. We will embrace a culture of collaboration and excellence, by passionately working together to achieve the best possible outcomes of programs, services, and initiatives. With this in mind, all of the experiences and communications with prospective donors, beneficiaries, volunteers, partners and the general public, will seek to uphold these values. In doing so, our leadership believes that an authentic experience with any PRRU team members will be rewarding and valuable. We strive to achieve equitable and reliable access for all, wellness and health promotion, constant improvement, commitment to quality and innovation of services. 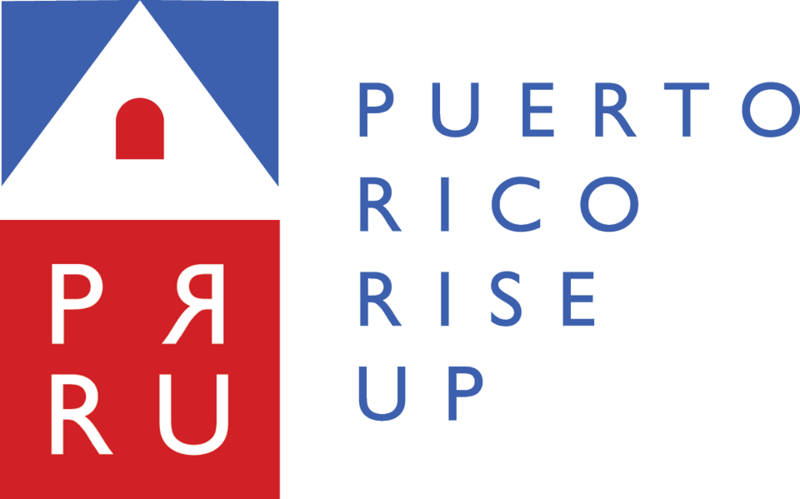 PRRU is a national humanitarian disaster relief organization, uplifting the welfare of underserved communities in Puerto Rico by: improving access to health care, providing quality education, advocating for change where needed to restore and secure a viable future for generations to come. We believe the path to decrease inequality and enhance human engagement is to expand the scope of opportunities before and after disasters. This may sound simple, or even simplistic, but it is just the tip of an exceedingly complex approach. Our well-rounded approach fulfills the communities biophysical, environmental and social needs to foster evenhanded opportunities, economic growth, and human prosperity. Thus, reinforcing these values from one generation to the next, will move the Puerto Rican community towards a successful future. We emphasize protecting the community to meet their needs, rather than satisfying peoples preferences.